Blue-green algae is one of the most cleansing, nourishing and regenerative food sources in nature. In fact, it has superfood status, thanks to its high levels of protein, vitamins and nutrients. Blue-green algae is 70 percent vegetable protein, and contains beta-carotene, amino acids, chlorophyll, and over 65 vitamins, minerals and enzymes. 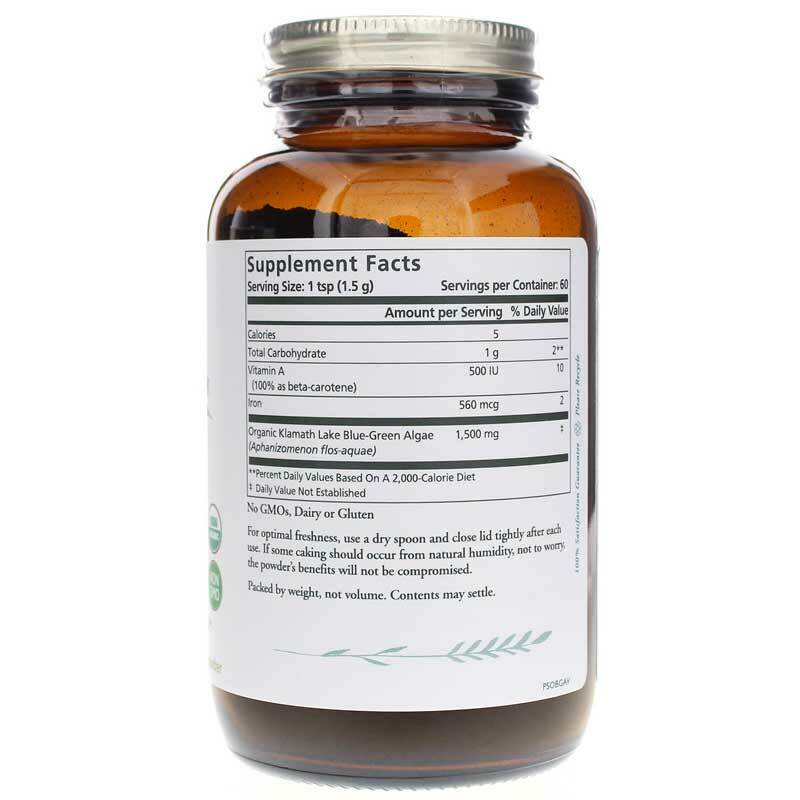 People take it in supplement form to nourish and support overall health. 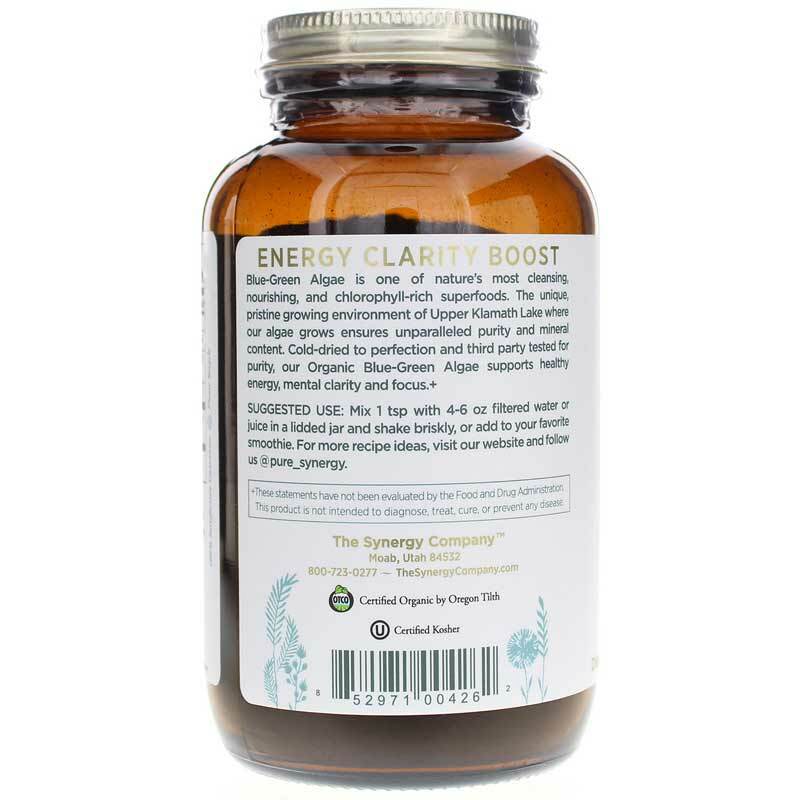 Pure Synergy Organics offers a natural supplement called Blue-Green Algae Pure Klamath Crystals that is made with kosher and organic algae. Pure Synergy's highly prized blue-green algae in grown in the pristine, pure waters of mountain spring-fed Upper Klamath Lake in Oregon. It is harvested at peak bloom, when its nutrients have reached their highest concentrations. 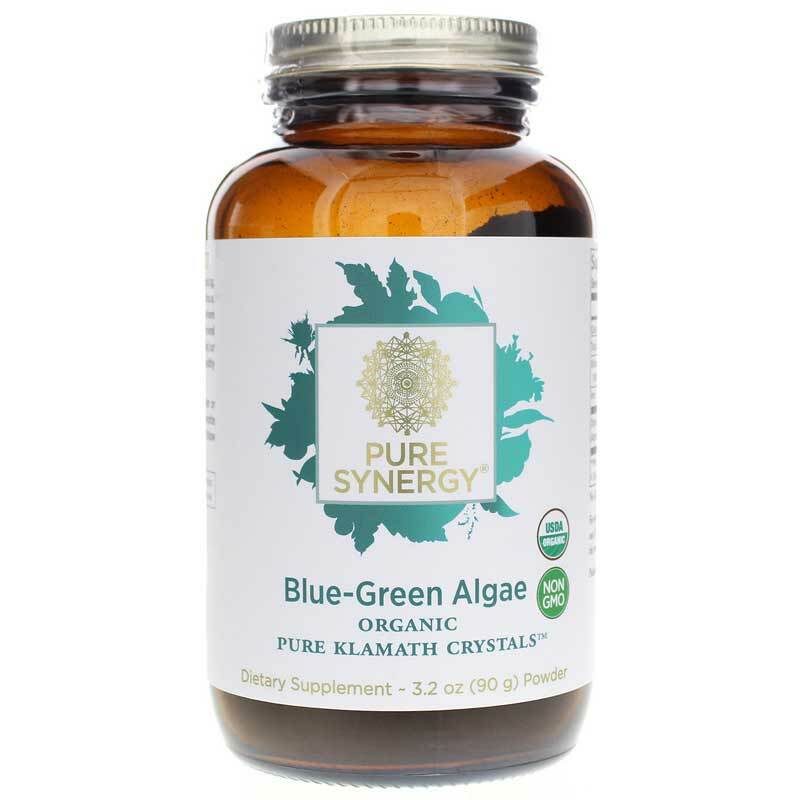 If you're looking for a high-quality blue-green algae supplement, check into Pure Synergy Organics' Blue-Green Algae Pure Klamath Crystals. Order online today! Adults: Pure Synergy recommends starting with 1/2 teaspoon of powder daily, mixed in a glass of water and/or juice and gradually increasing to 1/2 teaspoon 2 times per day (morning and afternoon). Please be sure to drink plenty of pure water throughout the day.